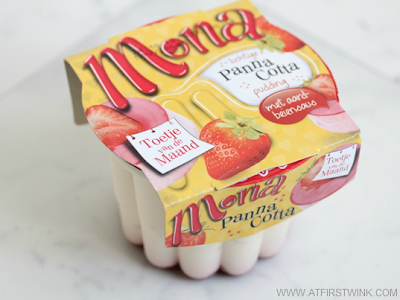 For the whole month of October 2013, this special, limited edition, Mona panna cotta pudding with strawberry sauce is available in the Dutch supermarkets. 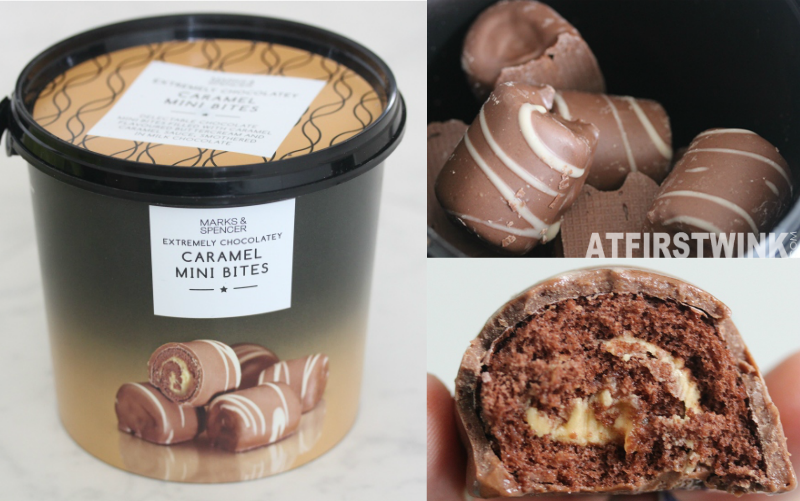 The last time, I was tempted in buying one was in February and it was a special Mona raspberry pudding for Valentine's day. 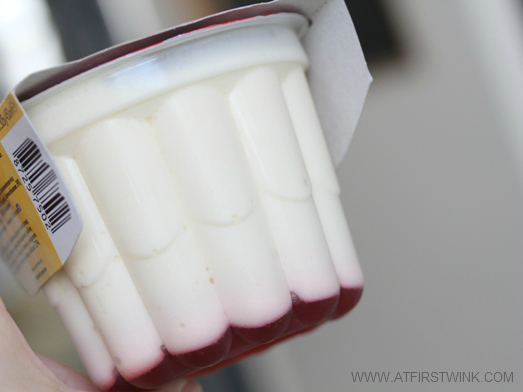 It may look small, but it is a large pudding of 450 ml. Previously, I haven't shown you how the plastic tub looks like, as I had already thrown it in the garbage can and I was eating a portion of the pudding from a small bowl. This time, I knew beforehand that I was going take pictures of this and I had my camera ready. 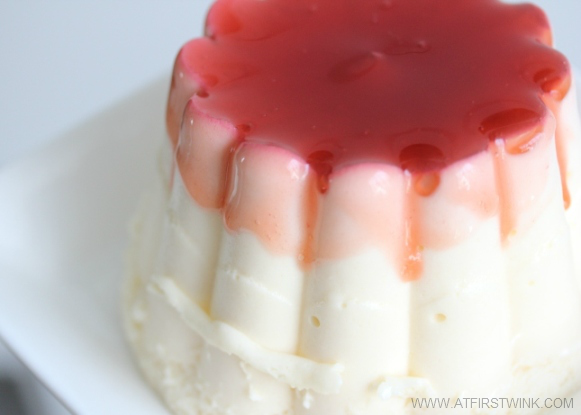 The pudding has a delicious red, strawberry sauce on the bottom and when you turn the pudding to get it out, the sauce spreads beautifully by itself. 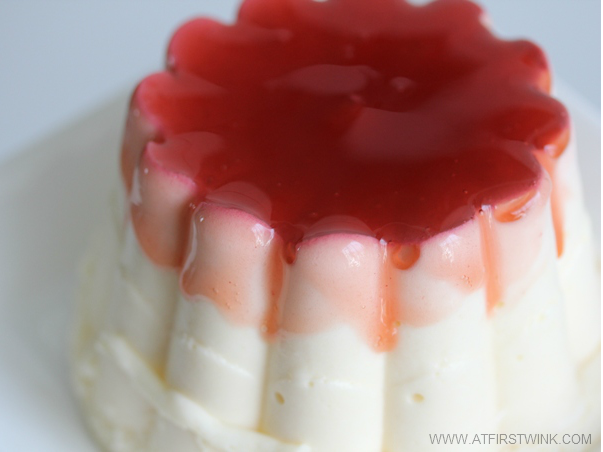 As you can see in the picture, the panna cotta pudding has a light and airy texture, almost like whip cream, but then slightly firmer. It tasted very creamy and delicious. I like that it wasn't too sweet. I have never eaten panna cotta (I know that it is a bit strange, but I just haven't had an opportunity to order it before ^_^), but I read that it is supposed to taste milky and creamy and I can say that this pudding really does taste that way. However, the strawberry sauce didn't have the slightly sour, strawberry taste that I wanted and it was a sweet, sugary sauce instead.